I wanted to read Apple Tree Yard as soon as it was out last year because I’d enjoyed Louise Doughty’s earlier novel Whatever You Love so much. I didn’t really know what to expect, didn’t read any reviews, and so I was glad to find out that not only is the book very different from her earlier novel, but just as good, maybe even better. Apple Tree Yard tells the story of an affair that goes terribly wrong. Yvonne Carmichael is in her fifties, married with two grown-up kids. She’s a scientist and very successful in her work. Her marriage could be better but yshe and her husband do get along fine. What it is that makes her follow a man and start an affair with him? Boredom? Love—or rather lust— at first sight? Maybe a bit of both. The book opens with a prologue that gives away a lot. We know Yvonne Carmichael and her lover have been arrested and are being tried and we also know that the prosecution has found out something that could be fatal for Yvonne. I think it’s quite impressive that Louise Doughty managed to give away this much in the prologue and still was able to write a page-turner that held my interest until the last page. What worked particularly well for me was that large parts of the story were written as if Yvonne was talking to her lover, which was intimate and eerie at the same time. Apple Tree Yard is the third crime novel with a London setting that I’ve read this year and, once again, the setting is almost a character. The book is a crime novel but it explores a lot of themes in a very arresting way. Unfortunately mentioning some of them would really spoil the book. One theme I can mention, which is important, is the exploration of a marriage. Yvonne and her husband still share a lot but they are clearly not in love. 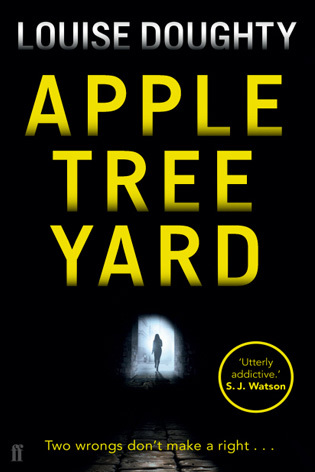 Apple Tree Yard is part thriller, part court-room drama, nicely paced, intricately plotted and infused with a bitter-sweet, melancholy mood that is quite rare in crime novels. A very gripping and intense novel. I bought this a few months back but haven’t got to it yet. If you liked it, I’m sure I will too. I just reviewed Tana French’s The Secret Place which I think is going to be my crime read of the year. I did like it. there was just a minor thing that bugged me a bit but i can’t mention it because that would spoil it. Once you’ve read it we might be able to discuss it. I haven’t read Tana French yet but I think she’s a more complex writer. This is more in the line of – once more – Nicci French. 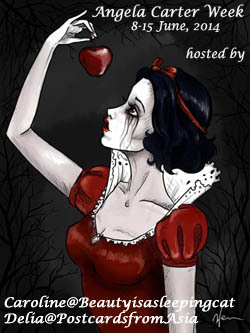 But with a melancholy mood. I have this and am looking forward to it although I didn’t know there was a courtroom drama side to it. Nor did I when I started it but it takes up more than one third of the book. I’m quite fond of courtroom drama’s so that worked for me. I have almost grabbed this one so many times (particularly in thinking of what I would take on my last two trips) but I never have gotten so far as to start reading it–I am very much looking forward to it, but it might be a while yet before I get to it. I’m glad to hear you enjoyed it–I suspect I will as well. Sounds like a good crime-ish novel with just a little extra! That little bit extra is exactly what I liked so much. It has a few surprsising elements. I’ve seen a few reviews of this novel, and it sounds very good. My previous book group read Whatever You Love, and it made for an interesting discussion. Doughty’s a writer worth watching, I think; she seems to have a good insight into the psychological side of human behaviour. I agree, she does. there’s a tiny thing at the end of this book, that I couldn’t realte to but it’s still believable – from the character’s point of view. And the way she told this was pretty unusual. I’m looking forward to your review. I’m reminded of the movie “Unfaithful” with Richard Gere and Diane Lane. Another woman who had everything and ruined it with one bad move. I loved that movie and now that you mention it . . . Yes, there’s a similar element but this takes a very different turn. I hope you’ll like it. Let me know. I desperately wanted to like Apple Tree Yard for several reasons, including having loved ‘Whatever You Love!’ But I didn’t get on with it at all. I just couldn’t find a way to like the main character and ended up really disliking the book. But having said that I think it’s me – because every other review of it I see thinks the same as you did! I loved the way this was constrcuted. I think she did that really well and I love courtroom dramas. Whatever You Love was more emotional. I didn’t mind the main charcater although I didn’t understand why she still loved the guy after she found out about all the other things he did. I do think that some of the best crime novels are about people, relationships, and both big and small interesting themes. Thus this sounds very good. It was. I thought it was very well done and she stayed away from clichés. I enjoyed this one when I read it. 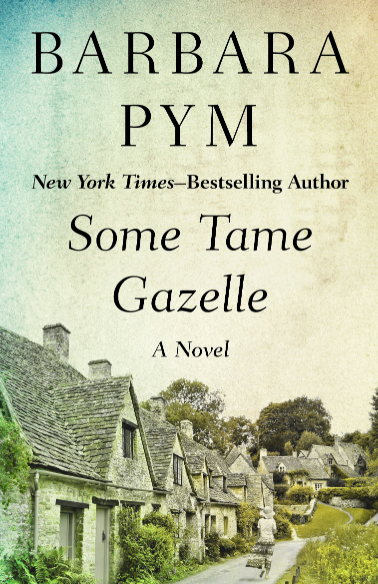 I thought she handled the affair very well – it could so easily have been voyeuristic for the reader, but I felt she managed a clever mix of tacky, sordid and hypnotic, making it feel much more real and therefore plausible. I had similar thoughts while reading this. And I can understand why one would stay clear from these type of novels because, although they try to show a very modern woman, they still let her fall into an age old trap. It did bug me a bit as well. On the other hand you could argue that she didn’t see it cmomming because, in spite of her age, she wasn’t very experienced when it came to men. Wonderful review, Caroline! It looks like Louise Doughty was really flirting with fate by revealing so much at the beginning of the book, but it is amazing that she has been able to pull it off by taking the reader to the edge of the precipice and keeping her there. Adding it to my ‘TBR’ list 🙂 Thanks for reviewing this book. Thansk, Vishy. It a great way to lure us in, actually. Because you wonder why does an affair lead to two people ending up in a court room. I really loved the structure of the novel. It’s very gripping. I hope you’ll enjoy it too. I loved this one. The courtroom drama was brilliantly written – probably the most gripping scenes I’ve read this year. I’m gald to hear you felt the same. I agree about the courtroom drama. I love court room dramas anyway but she did a great job.